"The Community for Seekers, Skeptics and Believers"
... asks a question. "What do you believe?" Enjoy this short and incredibly encouraging video featuring people’s stories that came to faith in Christ through our websites in response to the gospel of Jesus Christ! Origin of Easter - A Christian commemoration of Resurrection Day. A Celebration with ancient pagan roots. The truth about Christ's crucifixion and resurrection. The evidence of the crucifixion of Jesus. The crucifixion from a medical perspective. Credible witnesses of the resurrection of Jesus. Evidence of the resurrection of Christ. Did the resurrection of Jesus Christ happen? Explore the events of Palm Sunday. What a celebration! The Last Supper - A significant event. What are the major events of Passion Week? What are occured on Holy Monday? Study the events of Jesus' life on Holy Tuesday. The simple Christian Faith at its core. Messianic prophecy - mathematical evidence that God exists. Is Jesus God? He is either a liar, lunatic or Lord. Examine the evidence for the case for Christ. Easter origin - Christ revealed in the Jewish Passover. Who is Jesus really and why does it matter? The way, the truth, and the life: Jesus Christ. Jesus is Lord - the inescapable truth. Are you ready for the second coming of Jesus? It's all for and about Jesus Christ! Hear the fascinating Canary Cry Radio interview. A life change story that led to multiple organizations working together to help bring life to those trapped in the dark rabbit hole of the fringe pop culture. Is someone you love a victim of Ritual Abuse (RA) and Trauma-Based Mind Control (TBMC)? Millions worldwide suffer unknowingly. Discover common symptoms that are tell-tale signs of RA and TBMC! Bless someone with freedom today! "Whatever you did for one of the least of these brothers or sisters of mine, you did for Me." -- Jesus. Through Video, we are working to share the Gospel of Jesus Christ on AllAboutGOD.com to millions of people around the world! Find out more about this exciting video outreach and how You can be part of it! Sign up to receive the encouraging emails. A couple of times each month we will select only the best, short emails to pump you up, give you hope that God is at work, and encourage you in your journey! Sign Up Now! There is no better evidence that God exists than changed lives! Do you want your parenting to be effective and rewarding? Discover helpful tips and practical parenting hints from other parents! Develop a parenting plan. Here are some ideas. Discover parenting skills and parenting tips. Learn helpful prayers for children and Bible stories for kids to help them learn about God. Find helpful tips on child discipline. Family conflicts will happen. Are you prepared? Do you find yourself in a blended family or parenting as single parent? Find helpful tips. 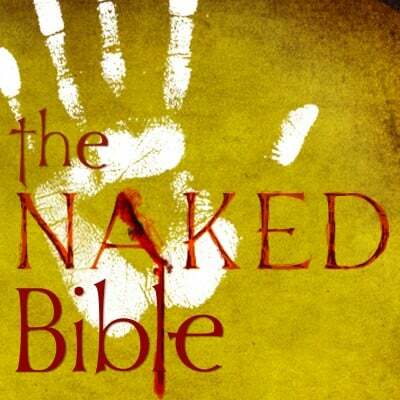 The End - What does the Bible say? What is the Revelation Timeline? Jesus is Coming - are you ready? 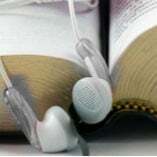 Our MP3 Bible, audio sermons, and worship music will enhance your quiet times with Jesus. Listen live or download them for a future time. Get growing! Check out our Media Wall for quick access to every video from our entire network of websites in one place! See our concise video clips by subject on this one page! Get connected with the All About GOD once-a-week devotion. Get exclusive news about new content being launched, updates on what is coming up in the ministry, how God is mightily using AllAboutGOD to touch and change the lives of thousands, and much more! Signup today. All About GOD reaches the world through the internet! Have you seen all of the pages we have translated into Bulgarian, Chinese, Dutch, French, German, Italian, Japanese, Polish, Portuguese, Romanian, and Spanish? God is calling all nations to know Him! Jump on TheNET - our Christian social network. Create your own profile, tell others (as much or as little as you like) about yourself and your interests. Blog, share photos, music, and videos. Create your own interest groups or join existing ones. Invite friends, get questions answered, and interact with others believers. Get involved today! THINK AGAIN! - A re-launch of our radio show/podcast dedicated to critical thinking, comparative worldviews, and Christian apologetics. Grab all the shows here! Read what leaders in the Christian community are saying about AllAboutGOD.com. Read how AllAboutGOD.com is impacting lives with encouraging testimonies and life-changing stories! Read Here!